I have been walking around my hood for one last farewell and I stumbled upon a street lamp that I never noticed before near a busy intersection close to where I live. I was surprised because it seemed out of place and yet after 6 years I only noticed it now. What was so different about it was that it resembled an old fashion Victorian lamppost but was in a contemporary setting. I like contemporary architecture and I really don’t get the love affair so many people have with Victorian-like architecture because it isn’t real Victorian architecture but instead a pastiche of a style that is so far removed from our current contemporary lifestyle. Maybe that is why I never noticed it before I secretly removed it from my radar, trying not to acknowledge its presence. I have to admit that I cringe when I walk through suburbs, which were built in the last decade and yet the developer has constructed a community that tries to recapture a Victorian aesthetic. Real Victorian homes in older neighbourhoods make sense because that is when they were built but building a pastiche out of aluminum siding just doesn’t make sense. I don’t get it, we live in contemporary society and I want new structures to reflect our time now, not a replication of a past era. 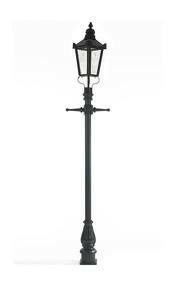 Which gets me back to the street lamp, why was there a single Victorian-like street lamp adorning this street? I was never able to find out why but it seemed to me that this particular light was more like a decoration than something purposeful. And if this was for decoration why did it have to reflect a bygone era not contemporary life. Historically, the main purpose of streetlights was to provide security for walking but also aided in the prevention of accidents. While this is still true today, cars benefit from streetlights more than pedestrians in the city at night. Even thought, streetlights are essential to contemporary urban infrastructure (and they are everywhere) little attention has been considered in their overall design. I would love to see a city or developer take a risk and hire artists to design new lighting systems that would reflect the contemporary city. A system that elevated street lights from simple arbitrary city infrastructure to well design objects that would highlight our daily paths in usual ways. I have included some contemporary artists who have used historical and contemporary streetlights to redefine our preconceived notion of the lonely lamppost.